Beijing: Chinese leadership, people, parties, government and mass media have been busy strengthening the ties with Nepal which was connected by Bhrikuti. Epochal relations of Nepal and China has been talked a lot and analyzed at both the sides. China has made welcome gates at both the Nepali and Chinese sides for strengthening ties with Nepal but at the same time they do not hide their suspicion over Nepali political leadership. The day when Doklam standoff took a u-turn August 28 afternoon Wang Ruibin of Chinese Institute of International Studies, which came after the establishment of new China, questioned Nepali media persons – Why Nepali political leadership have been taking slow strides in Belt One Road Initiative (BRI)? His focus was on working style of Nepal’s government and political leadership. Wang works for World Economy and Diplomacy Department. The project that connects Asia, Africa and Europe is better known as One Belt One Road (OBOR) which is around $ 10 Trillion project. India has been accusing that China has established strong influence after the republican set up in Nepal. But China refuses to accept. 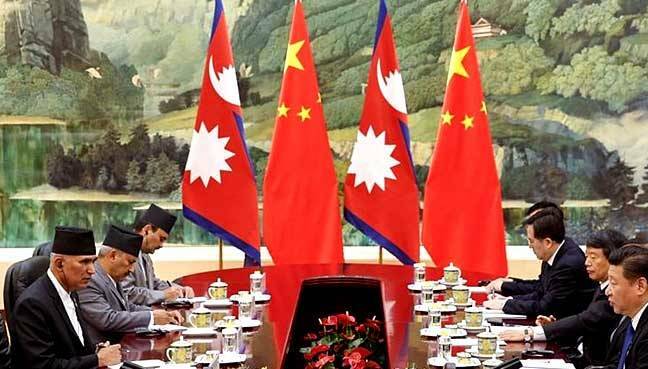 A Chinese diplomat at Beijing says, “Our relation with Nepal is not intended for China’s interest. China can only benefit if Nepal is developed.” At present Nepal has to balance its relationship with both of its giant neighbours—China and India. Both North and South try to allure but it would be better for Nepal to maintain equidistance. These countries have been explaining the project as a strategic step to expand China’s influence. But China refuses to accept such explanation. China having intense presence in world market has been defining the distribution of its products as socialist market economy. The institution that studies world economy does not fail to explain and analyze the significance of BRI. China is sad as a part of BRICS India is against the ambitious project of present Chinese President Xi Jinping. China believes that India would benefit the most from the BRI if it becomes a part of it. India must understand this fact sooner or later, they say. They also claim that building road was the major agenda to pave the path of reforms and openness. India escaped the BRI Forum held in Beijing. China and India seems to be traditional foe having military tensions at times. Belt and Road has been widely spread among Chinese people whether they are leaders or general people. China has been raising its ambitious infrastructure project --Belt and Road Initiative (BRI) at the international forums as its main agenda. Through BRI China is expanding its business relationships with Asia, Europe and Africa. Nepali ambassador to China Lilamani Poudyal said Nepal can be benefitted the most from the BRI. “Hesitation for investment and infrastructure is seen not from China but from Nepal itself,” he said. Chinese were happy with the signature by the Chairman of CPN Maoist Center Prachanda on the BRI but were suspicious over Nepal’s delay in its implementation. Chinese Professor Chiang believes that Nepal itself would lag behind if its delays in implementing the BRI. On BRI like USA, Japan and Australia, India is also not happy. India is irked by the Chinese investment in Pakistan’s infrastructure developments. To lessen the Indian concern Chinese President had appealed the countries during BRICs summit to cooperate on BRI so that all the countries could benefit. China says prosperity within the country alone is not sufficient. Though the country has revealed the BRI project including Europe and Asia China’s main focus was on its neighbours. Poverty in the neighbouring countries would adversely affect China and it is aware of the fact. Therefore they have been focusing on developments in the neighbourhood. China is investing on infrastructure developments of South Asian countries including Pakistan, Maldives, Bangladesh, Sri Lanka and Nepal. With the signature in the BRI by Nepal on Baishakh 29 a new dimension has been added in Nepal-China relations, says Minister of Yunan Province Chao Jing. Also the chief of the publicity department of Yunan Chao said, “Financial investment should be prioritized to end poverty.” He said Nepal could take benefit from the provincial capital of Yunan –Kunming. Why Nepal failed to receive benefit? Currently the government is correcting its course and has started dialogue to bring Chinese investment in Sri Lanka. China wants to see Nepal one on its foreign affairs like how India, China and Pakistan are sensitive and one on their foreign affairs. If those in political and government’s leadership do not take ‘double stand’ on China affairs Nepal can benefit more than China, Poudyal said. Deputy Prime Minister and Foreign Minister Krishna Bahadur Mahara returned home from China visit on Monday. Though the visit was intended to pave way for the Prime Minster Sher Bahadur Deuba’s upcoming visit to China, Mahara also discussed on the implementation of the past agreements. Earlier Mahara was there in China during the first BRI meeting representing Nepal. Prior to Mahara’s visit the then Prime Minister Prachanda had met Chinese President Xi Jinping and expressed Nepal’s commitment on BRI on Chaitra 10. After that the then Finance Minister Mahara had signed on the membership of BRI. 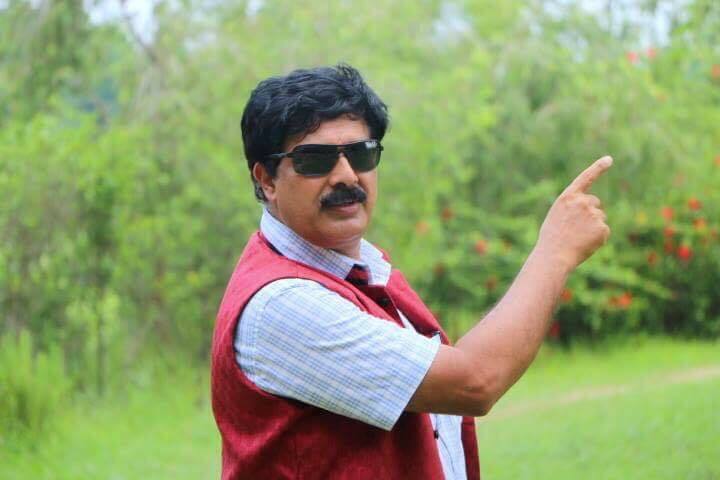 That was a very important decision of Nepal. But still Nepal has failed to convince China with faster implementations. On April 2017 more than 30 heads of the state and heads of governments attended the BRI Forum held in Beijing. But from Nepal the then Deputy PM and Finance Minister Krishna Bahadur Mahara attended the meeting. China was not much excited with this presence of Nepal. As many as 68 countries and International organizations have signed the BRI till date. Nepal’s cabinet meeting of Baishakh 25 had taken the decision to sign on BRI project and had signed on the project on Baishakh 29. Mahara informed high-level political leadership of China about the attempts Deuba led government made on implementation of BRI. Before his visit Mahara had consulted with Prime Minister Deuba about the issues. Nepal believes that Chinese investments would be on infrastructure development, promoting business, road networks and construction of railways as a partner of BRI. Countries including Pakistan have been benefitting from BRI. Works for a 62 billion dollar project China-Pakistan Economic Corridor is ongoing. China has already announced to spend $35 crores in Pakistan within 2030. Chinese investment is also increasing in Nepal. Chinese political leadership has been saying that China was ready to support on all sectors to implement BRI. Chinese Deputy Prime Minister Wang Yang, who visited Nepal on first week of Bhadra had expressed serious concern over the implementation of past agreements and had offered all kinds of support for the implementation. Meeting Nepal’s political leadership he said Nepal should be more active to implement BRI. China has also developed a fund from which developing countries like Nepal can benefit. Citing financial constraints of developing countries to pay pack the project expenditure and loans China has developed the fund of 15 billion dollars and has kept neighbouring countries like Nepal in its priority list. How much Nepal can benefit from the project depends on the will power of Nepal’s political leadership.